The start of the month saw the Reserve Bank of Australia (RBA) decide to keep the cash rate unchanged at 1.5%, making it the 23rd month in a row that the rate not moved. 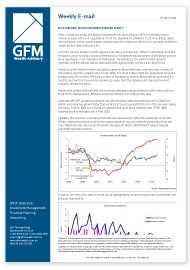 Whilst low inflation has its benefits for consumers, allowing them to buy goods and services at lower prices, what does it mean for investors, particularly those relying on cash and fixed interest investments to provide them with a reasonable income return? The impact of low inflation on a portfolio depends on the type of investments held with some potentially benefiting from low and falling inflation, while investments in fixed interest (bonds) and cash tend to be hardest hit as they provide lower income returns when inflation is low. Nonetheless, investment strategies can be adjusted to maximise returns in periods when inflation is low, with the following tips are applied by successful investors when low inflation causes returns to decline. Adjust your income return expectations: Low inflation globally and in Australia mean that retirees can no longer rely on cash and term deposits to generate income. Investors may need to accept lower rates in maturing term deposits or alternatively consider other investments which are likely to involve higher levels of risk. It is important to review the trade-off between how much risk you are willing to accept and the likelihood that your portfolio will grow to satisfy your objectives, keeping in mind your risk profile when assessing the acceptable level of risk. In an environment where inflation is between 2% – 2.5%, real returns of around 5% are a worthwhile investment. Be wary of overpaying for yield: The search for yield has seen higher yielding securities increase in price which makes them less compelling investments from a valuation perspective. Be cautious to not overpay for securities in the chase for competitive yields. Don’t panic: When world equity markets struggle, investors are often tempted to sell down their share investments. Don’t panic and instead keep in mind your long term strategic objectives. 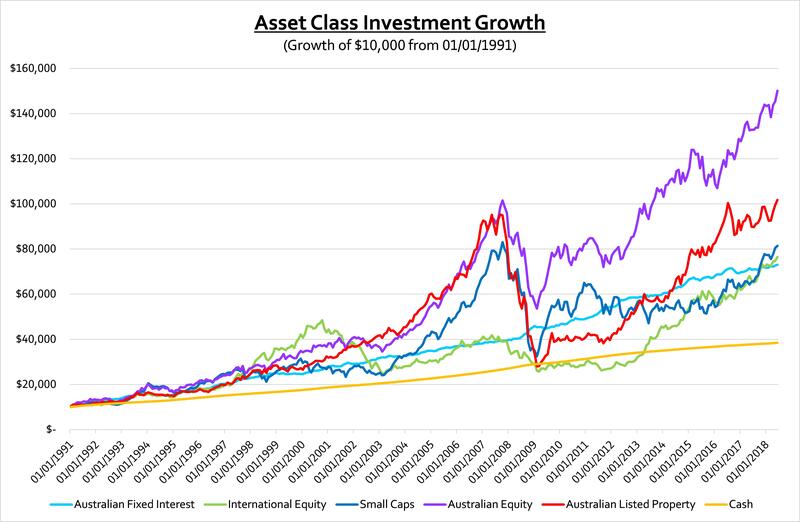 Reconsider your asset allocation: Global stock markets often go through periods of volatility but over the longer-term, the chart below shows that growth orientated asset classes deliver better returns over other more defensive asset classes. Of course, your exposure to different asset classes depends on your age, tolerance for risk and savings objectives.